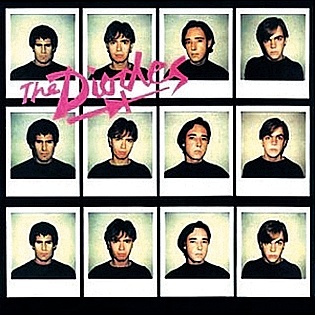 The Diodes may very well be the most important punk band in the history of Toronto. They were formed in 1976 — playing together at the Ontario College of Art just as the Queen West punk scene was about to become one of the greatest punk scenes on Earth. And The Diodes played a founding role. It was The Diodes and The Viletones who quickly became the giants of the scene: their infamous rivalry pitted the art school background of The Diodes against the working class thuggery of The Viletones. But it was still a tightly-knit community. In 1977, The Diodes turned their rehearsal space in the basement of a small office building (on Duncan just south of Queen) into a punk club called the Crash 'N' Burn. That summer, they invited all the best punk bands in the city to come play — The Viletones included. For a few, brief, glorious months, bands like The Curse, The Dishes and Teenage Head shook the building to its foundations. But it didn't last: The Liberal Party of Ontario had an office upstairs; by the end of the summer, their complaints about the noise and rowdiness forced the club to shut down. By then, word had gotten around. 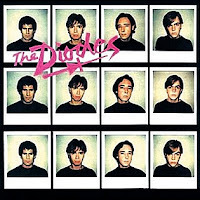 That August, The Diodes became the very first Toronto punk band to sign a deal with a major label. The year after that, they started playing a brand new song. "Tired Of Waking Up Tired" would prove to be one of the most popular tracks to ever come out of the Queen West punk scene. Chart even put it at #17 on their list of the Top 50 Canadian Singles Of All Time. Listen to more Queen Street punk here. You can find links to buy Didoes records here. Special thanks to Ralph Alfonso (The Diodes "manager, designer, lighting guy, roadie, publicist" and co-founder of the Crash 'N' Burn) for his help with this post. You can listen to more songs from the Toronto Historical Jukebox here. Posted by Adam Bunch, the Editor-in-Chief of the Little Red Umbrella and the creator of the Toronto Dreams Project and the Toronto Historical Jukebox. You can read his posts here, follow him on Twitter here, or email him at adam@littleredumbrella.com. Very interesting blog! Please be free to create the same content in future to please your followers. I like to watch music videos and I believe that one day my video will be number one. Maybe you can recommend a person who has a lot of experience in cinemavista video recording? Really thank you for sharing, hope you will have such great posts as this more.